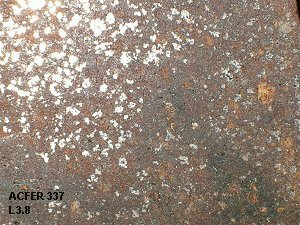 Remarks : Fairly aletered, with rests of fusion crust on the side that was on the soil. 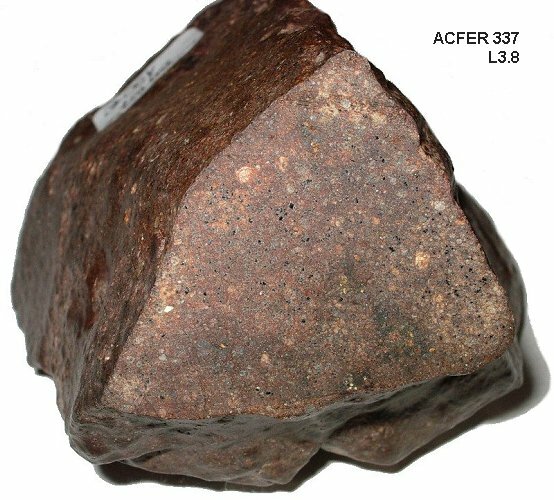 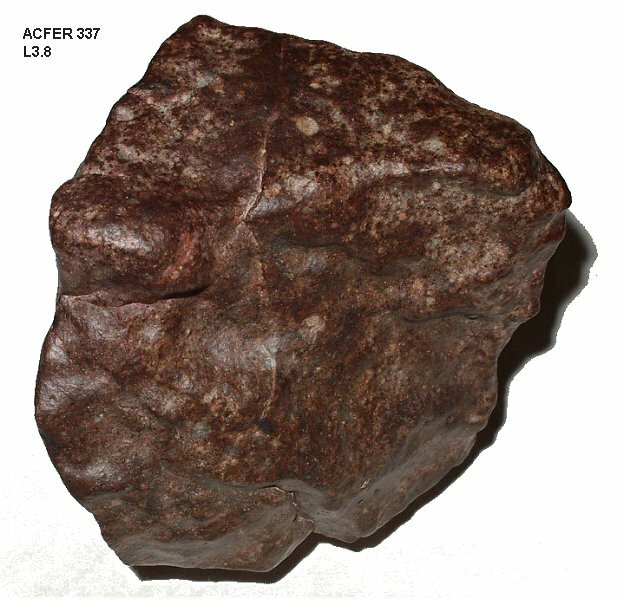 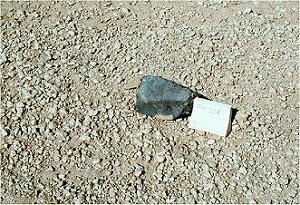 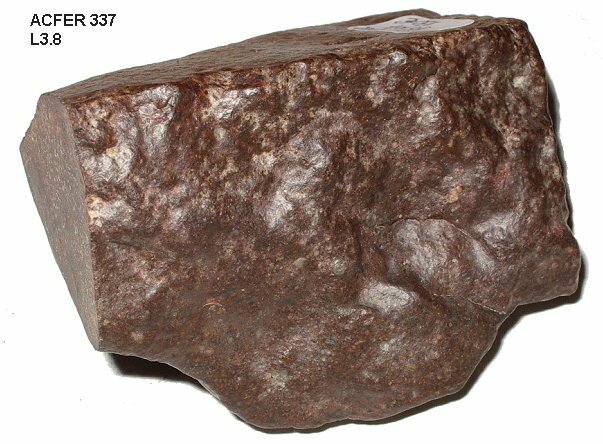 Same type as Acfer 336, but those 2 meteorites are not paired (Acfer 337 is fresher). 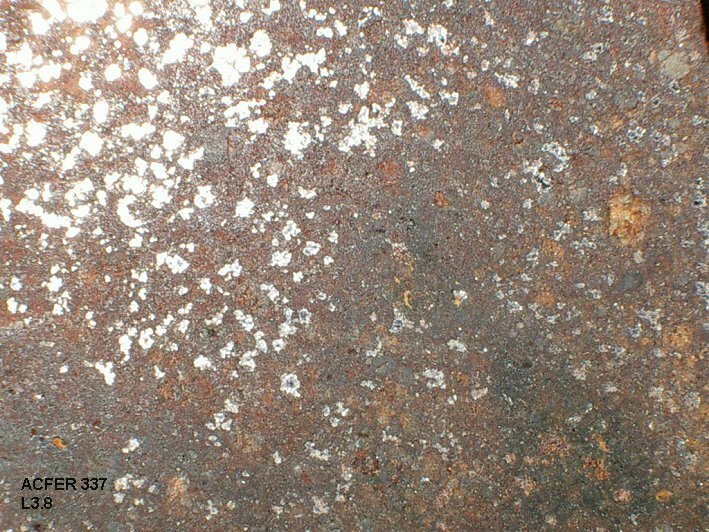 Despite the average rate of fayalite (18,6%) that could lead to H type, abundance of metal observed under optical microscope, proves that it is a L type.